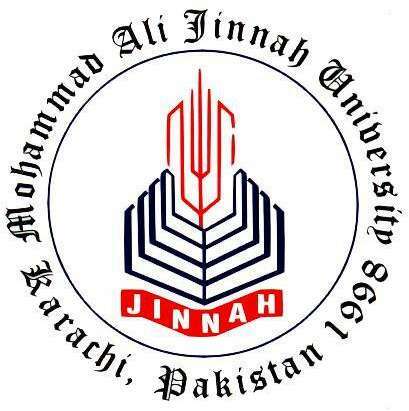 KARACHI: Mohammad Ali Jinnah University (MAJU), Management Sciences Department in collaboration with the Students Business Administration Society on Saturday organised a national seminar, titled ‘Modern Trends in Business Research’. Dr Shujaat Mubarak (MAJU) Dr Zaki Rashidi (ZABIST), Dr Tariq Jalees (PAF-KIE), and Dr Manzoor Khalidi (Barrett Hodgson University) spoke at the occasion. The scholars were of the view that the promotion of research culture in the country is the responsibility of universities, and varsities should engage industry and planning division of the government for the resolution of various problems. “Internationally, it is a general trend now that in most of the countries universities are doing research on the issues faced by the industry or government sectors to overcome their problems,” said a veteran scholar. Addressing the seminar, Dr Shujaat Mubarak was of the view that rapid developments were taking place in social, economic and industrial sectors in the South Asian countries; similarly, in Pakistan works were in progress on various development projects including China-Pakistan Economic Corridor (CPEC). He also asked the researchers to treat themselves as a community and to keep better coordination with each other including sharing their knowledge with other researchers. Dr Zaki Rashidi said that they were witnessing many changes in the technique in research work globally and as a researcher, it was their responsibility to see new developments in the field which they had selected for research work. Teachers and students shouldn’t start research work with a view to getting PhD degree, promotion, and an increase in salary. He emphasised the research work be taken with a new approach, ideas and vision. Dr Tariq Jalees advised researchers to not keep their research secret and share it with their colleagues to gain some useful information. Dr Manzoor Khalidi advised the researchers to look into the problems faced by the business sector and monitor new trends to guide businessmen. He also advised the students and teachers to observe international trends in research activities which are very vital for producing a valuable and useful report.